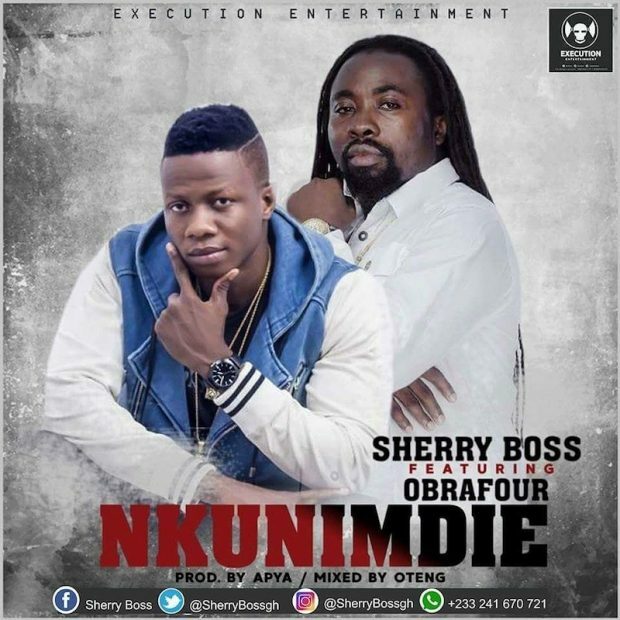 Execution Entertainment music label brings to us Sherry Boss’ maiden single which features the label CEO and Ghana’s rap prophet, Obrafour. This joint is titled Nkunimdie which translates to English as Victory. Sherry Boss on Nkunimdie talks about his dream come true and success story which the world will witness soon. Obrafour on the hook delivered very well as he preaches to us the Word Of God will take place regardless of the obstacles we face today. Sherry Boss is undoubtedly one of the few rappers the world should look out for. His engagement with Obrafour to us is a very good way of sharpening his God giving talent and this Nkunimdie song is a perfect collaboration that will forever remain on our playlist. Production credit goes to Apya and Oteng.